Let’s get one thing straight, tennis: our favourite game is hockey, and our favourite flip-flops are hockey-themed. 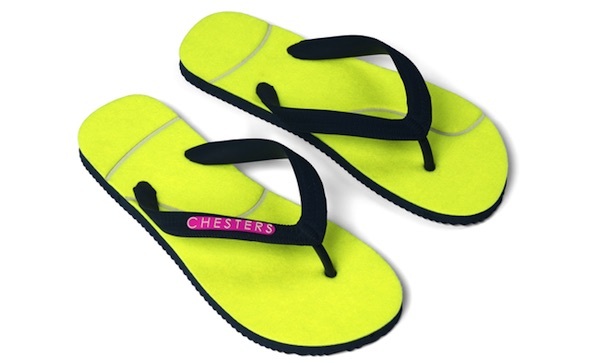 That being said: Chesters, you make a fine flip-flop. These tennis flops ($27) are made with tennis ball felt, and they’re treated with a non-toxic protective silicone-based coating that keeps said flip-flops free of sweat, water, and dirt. Man, people should start treating actual tennis balls with that coating. Are we right?